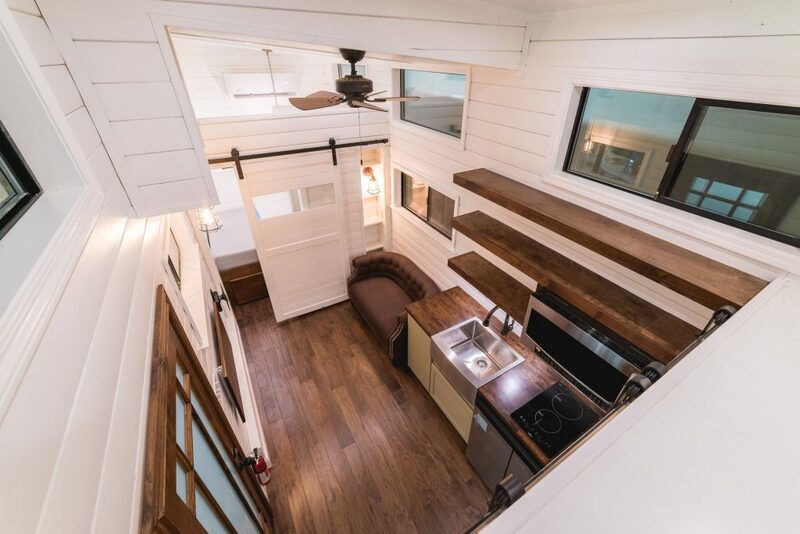 In the first article in our three-part series on tiny homes we presented an overview of the tiny home trend, including lifestyle considerations and cost benefits. 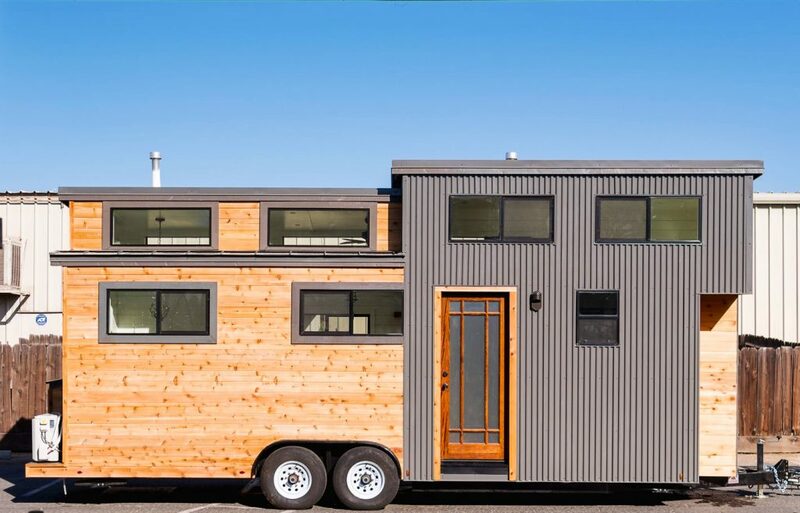 In the second installment, we discussed how tiny homes are built with the same types of materials, construction and aesthetics you find in larger, traditional residences. Metal panels—a popular material choice for tiny homes—provide advantages such as affordability, mobility and customization. 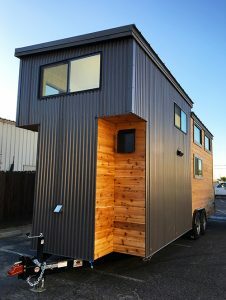 Some additional factors in choosing metal panels for tiny home construction are weather, installation and maintenance. Here we’ll take a look at these considerations in a bit more detail. While building tiny homes in mild climates can be pretty straightforward, there are many built in locations that must take specific weather conditions into consideration. Just as with traditional homes, tiny homes exposed to freezing temperatures need to be winterized to keep everything functioning, and can be heavily insulated, built with air-tight, double-paned windows and designed and oriented for optimum sun exposure to keep the heat in. For warmer climates and seasons, tiny homes designed to optimize air flow and fitted with adjustable shading to protect you from the sun’s heat can be an addition to more traditional temperature regulation methods, which should of course be properly installed and serviced. When it comes to preparing for extreme weather, there are very few additional precautions to be taken in comparison with traditional single-family homes. One exception is that tiny homes should be built with hurricane ties and straps, earthquake tie-downs and other anchors to secure the structure. Building to codes specific to any area you would plan to take your tiny home is vital to ensuring it remains undamaged and you remain safe. The Metal Panel Difference: Metal panels from American Building Components are designed and manufactured with several environmental considerations in mind. For areas prone to hurricanes and other tropical activity, ABC offers wind-tested metal panels built to withstand gusts of up to 140 miles per hour. This strength and durability is also important for those who plan to haul their tiny homes on highways at high speeds. If heavy snow and ice are common during your winters, the fast-shedding nature of metal panel makes them ideal. Eco-friendly insulated metal panels for roof and wall applications and cool metal roofs can also help regulate the temperature of your home and offer additional energy efficiency. Metal panels are also fire resistant (unlike thatched roofs, which are a fire hazard) and can withstand hailstorms and other extreme weather events. Your metal roofing manufacturer can provide advice based on your environmental needs. Understanding the maintenance requirements of any building material used to construct a tiny home is essential to maximizing the lifespan of the structure, safeguarding your investment and reducing any headaches that could arise from poor planning and inattention to the detail. It is, therefore, important that you fully understand the material you are using and that you follow the manufacturer’s installation and maintenance instructions, which should be made readily available to you. Also, be sure to read and understand any product warranties to ensure you know about any exclusions or requirements. The Metal Panel Difference: One caveat with metal panels for tiny homes is the precision that installers (or DIY’ers) need to use in order to get the most value out of the material. While metal panels require a greater level of accuracy during the installation process, the benefits far outweigh the challenges. Resources on how to install and care for metal panels are abundant. In addition to referencing the manufacturer’s installation manuals, you can check out their how-to videos and lean on their customer service team for support and installer recommendations. To extend the lifespan and strength of metal panels for tiny homes, maintenance consists mostly of preventing and correcting issues such as damage from the build-up of debris as well as storm-related traumas like hail stones, falling branches, etc. For specific maintenance tips, check out our recent blog on metal panel maintenance.